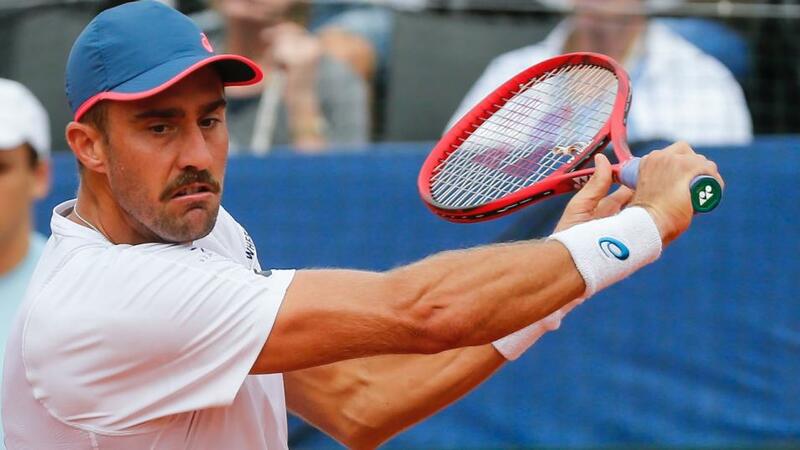 Steve Johnson is capable of a Houston hat-trick..
"Johnson's clay court record isn't bad at all - boosted by these excellent performances on quicker clay - and I wouldn't rule out a hat-trick for the top seed." After a week off from main tour action, focus on the ATP Tour turns to the main clay season, which begins this week in two low-profile 250 level tournaments in Houston and Marrakech, played in very different conditions. This is worthy of a discussion in itself, with both tournaments being described as merely being played on clay, but conditions in Morocco are markedly slower than those in America. Marrakech has statistically looked like playing slowly since the tournament began in 2016. Across the last three seasons, just 60.9% of service points at the venue have been won - around 1.5% below the ATP clay court mean. Conversely in Houston, the courts have historically played quickly, with 64.2% of service points won - about 2% above the ATP Tour clay average in the last three years. What does this mean? In theory, the more traditional clay-courters should be best suited in Marrakech, with conditions favouring the grinders who are good at long rallies in these slow conditions. In Houston, things are less beneficial to the out and out clay-courters and conditions - at least statistically - look pretty similar to hard courts. Play gets underway at 11am UK time in Marrakech this morning, and there's an interesting tournament anticipated with no seeds receiving byes in the draw. Therefore the likes of top seed Alexander Zverev and Fabio Fognini need to win five matches in order to lift the trophy - generally one more than in 250s - and this should be reflected in their expectations of winning the tournament from a price perspective. Is this the case for Zverev, available at [3.35] on the Exchange? Certainly, his recent results have been unimpressive, although his clay data (113% combined hold/break) in 2018 is much more so. He's got quite a kind top quarter, with Aljaz Bedene arguably his toughest competitor in these conditions. Threats to Zverev in the tournament come from Kyle Edmund and Jo-Wilfried Tsonga in quarter two - Edmund in particular impressed on the surface last year and perhaps strangely, this is now looking like his best surface - while Filip Krajinovic comes off the back of a final in Sophia Antipolis last week in the Challenger event. The bottom half of the draw looks weaker and of the bigger names, Fernando Verdasco, in quarter three, has a kind draw in particular. The Spaniard has a qualifier in round one, followed by either Taro Daniel or Mischa Zverev, who has barely won a match in the last six months. A potential semi-final against Philipp Kohlschreiber or Fabio Fognini awaits. Of the trio of these bigger names on clay, it is actually Kohlschreiber with the best clay data from the last year - Fognini has been at a poor level recently - although a comprehensive thrashing from Gael Monfils last time out in Indian Wells and subsequent withdrawal from Miami would be a concern. Verdasco skipped these hard court events completely. There's clearly a lot of question marks around this trio, and it would be a stretch to recommend any of them. Over in the quicker conditions in Houston, the top four seeds do all have byes, with Steve Johnson, Reilly Opelka, Cameron Norrie and Jeremy Chardy all benefiting from needing to win one match fewer. In general, the quartet are hardly renowned for their illustrious clay-court ability, although Johnson has won both of the last two events here. In truth, I was probably being a bit harsh on the top seed here. Johnson's clay court record isn't bad at all - boosted by these excellent performances on quicker clay - and I wouldn't rule out a hat-trick for the top seed. An order on the Exchange of around [9.0] - the top general market price - wouldn't be a bad strategy. Unseeded contenders come in the form of Sam Querrey and Pablo Cuevas, while Ivo Karlovic is going to be tough to break in these quick conditions. He faces Ryan Harrison tonight in a rather serve-orientated encounter.